One of the key steps in maintaining a successful business is to makes sure the electric in your facility working is correctly and efficiently. 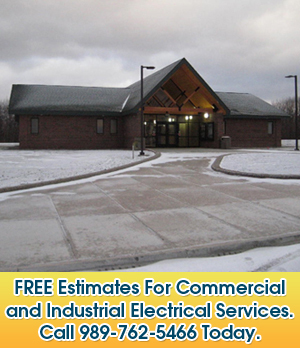 At DeGram Electric, we mastered several projects in commercial as well as industrial electrical properties. We’re a leader in the commercial and industrial electrical industry because our team takes pride in providing not excellent customer service but expert craftsmanship in all of our projects. As a locally owned and operated company with over 75 years of expertise, we understand how important it is to value our customers as well as provide them with quality work that lasts. Contact DeGram Electric today at 989-762-5466, or browse our website for more information about residential electrical services or testimonials.